I watched tennis last Saturday. Two men wore identical clothing: Nike shorts, Nike shoes, Nike shirts. 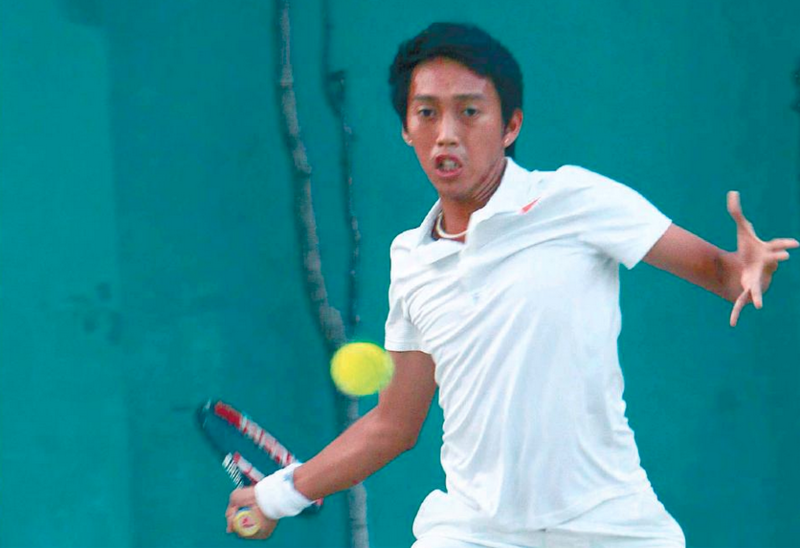 The championship match of the Cebu City Men’s Open last Saturday started nearly 5 p.m. The straight-8 match was a titanic, seesaw battle that saw plenty of momentum shifts. What a fight! As evidence of the high quality of tennis that the Cebuano community witnessed, the third point of the match proclaimed it all: a 20-shot rally, backhand against forehand, topspin versus slice, side to side, corner to corner, Janji firing his semi-Western shot as RJ counterpunched with his two-fisted backhand, neither giving any ground, both pounding that yellow fluffy ball with ferocity and might. Abarquez won the first game. Soquino, serving next, won the second. Abarquez would win the next two games for a 3-1 lead before Soquino upped his level to level the match at 3-apiece. Pardo Tennis Club, sitting at the center of town with its one well-maintained clay court, is one of the most iconic of tennis spots in Cebu. Founded in 1930, it is now 85 years old. The Pardo TC used to have two courts before one was cemented and used as parking space for the adjacent four-storey Pardo Barangay Hall and the Public Market. Right across the tennis court is the Pardo Parish Church. Fritz Tabura, the former Pardo barangay councilor (and my former coach when I played juniors), is to be credited for Pardo’s sustained longevity. He and his Tabura family, together with the tennis club officers, have maintained not only the court but the tennis excitement in Pardo. This venue is memorable to me. It was here, many summers ago, that I won one of my first tournaments: an All-Students Championship that pitted the best college players of the island. I recall playing Adonis Lominoque in the finals and, in a tight three-setter where I serve-and-volleyed to counter the powerful shots of Adonis, I won the championship trophy. Last Saturday, the scene was replicated. Hundreds of people crowded the tennis arena: people sat on the upper balcony, dozens watched from the side bleachers while plenty stood at the Skywalk for that unobstructed view. The street sounds, from car horns to roaring motorcycle engine noises, entertained our ears. Ernie Delco, the very likable MCWD general manager and huge tennis fan, watched from his upper deck seat behind the baseline. I sat in between my daughter Jana and Dr. Rhoel Dejaño. Fronting us were Iste Sesante and Jade Violeta, sportswriter colleagues. Pustahanay? Betting? Absolutely. No match will be exciting without it being called, in tennis parlance, “commercial.” From what I overheard, the pot money reached P80,000. Back to the match: It was entertaining and evenly-matched. On the average, I’d guess that eight to 10 shots per point were hit. That’s a very high standard. Few errors emanated from the Babolat racket of Janji; same few mistakes were hit from the Technifibre racket of RJ. Three-all. Four-all. Five-all. Up until the final games, you’d never know who’d triumph. When Janji broke RJ to take a 5-4 lead, RJ won seven straight points to lead 6-5. The score reached 6-6, 30-all. How close and thrilling can this contest be? Janji Soquino, who spent years as a top coach in Singapore and Malaysia before returning home last year, had his chances in the 13th game. But the 22-year-old RJ Abarquez was tough. He led 7-6. With the late afternoon lights being replaced by darkness and the clock reaching 6:30 p.m, Soquino started to show signs of fatigue. He double-faulted at 15-all and, at 30-all, he had to push against the wall because cramps bothered his calves. With that lone match point, RJ took advantage of the medical problem to win, 8-6.